Mini-reviews time! Here are some brief thoughts on some of the books that have slipped through the cracks since February or so. Part two to follow soon. 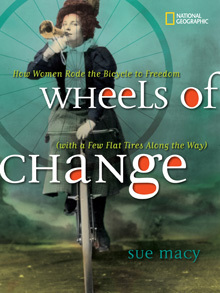 Wheels of Change: How Women Rode the Bicycle to Freedom (With a Few Flat Tires Along the Way) by Sue Macy: This YA non-fiction title has been on my radar ever since I spotted it among the finalists for the YALSA Award for Excellence in Nonfiction last year. As the title indicates, it’s about the development of bicycle culture – specifically the impact it had on first wave feminism at the turn of the 20th century in America. Sue Macy covers topics such as the history of the bicycle, the impact cycling had on feminine fashion, how freedom of movement changed women’s lives, and social reactions to ‘cycling madness’ (much like everything we have done before or since, the fact that women were cycling was seen by some as a sure sign of the impending moral apocalypse). Wheels of Change is particularly interesting because it examines the unexpected impact that a technological advance had on social change, and this is not something I pause to consider as often as I probably should. The book is published by National Geographic, and it does read a bit like an extended National Geographic feature – but please don’t take this as a negative comment, because it absolutely isn’t. The page layout is magazine-like, but in the best possible way – there are photographs, clippings from period news sources, and boxes with extra information alongside the main text; these were informative and every bit a pleasure to peruse as the text itself. I don’t have much else to say about Wheels of Change other than “it was fun and I learned plenty of interesting things”, but I still wanted to blog about it to let more people know that it exists. Also, the book was particularly timely for me because I’ve been learning how to ride a bike over the past few months (yes, only now). I never really had the chance to before, but once I moved to a city where cycling is one of the main means of transportation it became a big priority. It’s interesting to learn about the history of something I’ve been doing lately, and especially to consider how it’s linked to feminism and all sorts of things that really matter to me. Every time I go out to practice cycling I mentally salute the pioneers Macy highlights. In sum, recommended. For a proper review, try Amy’s or the one at Slatebreakers, Books and Bicycles. The Stuff of Legend vol 1 by Mike Raicht, Brian Smith and Paul Wilson III: This comic has an amazing premise and gorgeous artwork, and yet it did absolutely nothing for me – unless you count plunging me into a long-lasting spiral of anguish about whether or not I’m becoming a jaded reader, which some of you might have glimpsed on Tumblr or Twitter (thanks a lot, book). 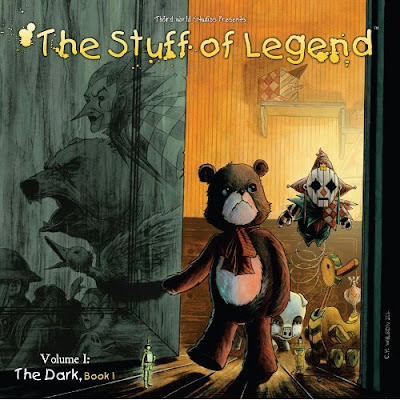 The Stuff of Legend is set in New York during WW2: a little boy whose father is away fighting is kidnapped by the Bogeyman one night, which causes a group of his toys to journey into the Dark Realm to attempt to rescue him. The Dark Realm, it turns out, is mostly inhabited by lost, forgotten, and discarded toys, and it takes strength and vigilance for our heroes and heroines not to turn to the dark side themselves. The story establishes some interesting parallels between the Dark Realm and the tensions of the period when it’s set; and as it’s often mentioned in the same breath as series such as Fables and The Unwritten, I image it also does cool things with themes such as storytelling and the imagination as it progresses. But for some reason I was just not feeling it. And because I believe in this absolutely, I have to say that I have no idea whatsoever whether the problem was the book or me. Some of my favourite examples of criticism are those that allow me to, if not to love a piece of media for myself, at least see it through the eyes of those who did love it and understand why someone might. So my greatest hope is that one of you will pick up The Stuff of Legend and tell me what you saw in it that I missed. Isn’t that stunning? I really wish I’d enjoyed the book. 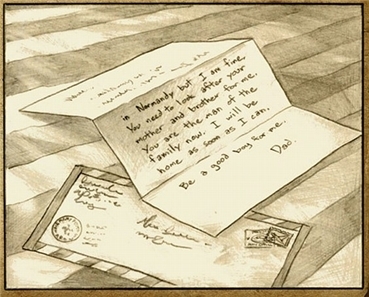 Wonderstruck by Brian Selznick: Much like the gorgeous The Invention of Hugo Cabret, Wonderstruck combines words and pictures to tell a memorable story. In Wonderstruck, the images and the words begin by telling two separate stories that eventually converge: the first, set in 1977, is about Ben, a twelve-year-old from Minnesota who runs away to New York in search of his dad and ends up hiding in the American Museum of Natural History; the second, which takes place fifty years earlier, is about Rose. Like Ben, she’s twelve; they also have in common the fact that they’re deaf (Rose from birth, Ben due to an accident), and the fact that the Museum of Natural History plays an unexpected role in their lives. One of my favourite things about Selznick’s books are all the little historical details he packs into them. The Invention of Hugo Cabret is both a wonderful story and a crash course in film history; in Wonderstruck, I learned about dioramas, curation, the 1920’s, museum history, and wolf habitats in North America, just to name a few things. Also worthy of mention is the fact that this book has two main characters with disabilities who are real, multifaceted people, which is still a rare thing. 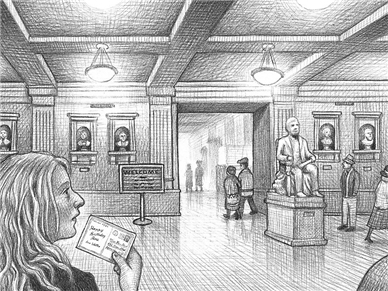 Wonderstruck didn’t make quite as strong an impression on me as The Invention of Hugo Cabret, but I suspect that’s only because my experience with the latter had the added pleasure of discovery as I encountered Selznick’s art and original storytelling for the very first time. Proper review: here’s Jill’s, which is excellent as always. The book about cycling sounds really interesting! And I think it's time I read Hugo Cabret. I think I'll use my 10% off coupon from the book depository for that one. As for the other book, I really don't know what to say, except that I'd like to frame that John Green quote as it is definitely somethingthat happens to me and is important to remember from time to time. I haven't read Hugo Cabret but loved Wonderstruck. I know what you mean about feeling like a jaded reader - I went through a week or two when I didn't really like anything I read and I began to wonder if it was me or the books. Thankfully, I'm past that. I thought Wonderstruck was great, although darker than Hugo Cabret. Yay for Wonderstruck! I very much enjoyed it when I read it. And congrats on learning to ride a bike. I love cycling and I love my bike. Wheels of Change sounds like a fun read. I don't think that Wheels of Change would have ever caught my eye if not for your review, and now I must admit it sounds quite interesting. "plunging me into a long-lasting spiral of anguish about whether or not I’m becoming a jaded reader"<--Oh you mean, mean book, you! :P I'm sorry this left you feeling so blah, Ana! I've only read the first volume myself, but while I don't remember a lot beyond adoring the art to pieces, I do know I enjoyed it and planned to read the next when it came out. Alas, that never happened and will have to reread this one before I more on. I do so love that John Green quote, but at the same time don't think it's a character flaw if we just can't be generous with every single book. And let's face some books really do make it harder for us than others for reasons known and unknown. Maybe it was just one of those books for you. I feel like a party-pooper to admit that while I think Selznick's books are visually appealing and really cool in concept, I feel like they fail in execution because they aren't very deep stories at all (perhaps due to the lack of dialogue or internal thoughts and all the pictures?). I don't really know why I feel this way, but I am still really interested in reading one of his via audiobook. 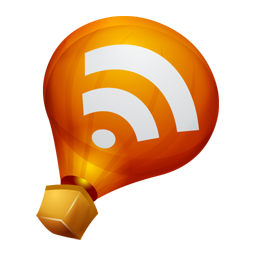 You pack so much info into your little blurbs! I am sorry that you couldn't feel involved with the book. I hate it when that happens, I end up feeling guilty - is it me? Am I missing something? Maybe we have to allow that sometimes, a book isn't for us, as much as we want it to be. Even John Green - and I enjoyed that tweet you sent us too! I just picked up Wonderstruck from the library. I wasn't at all sold on the idea of two narrations, one in words and one in pictures, so I'm looking forward to seeing how he pulls it off. You're not alone in your feelings for "Stuff of Legend." I got the preview issue for Free Comic Book Day, whatever year that was, and it piqued my interest so much that I asked for the graphic novel for my birthday (because I sadly don't buy individual comics anymore). It left me totally flat. I wanted to love it. The premise is wonderful. But a good premise alone isn't enough.